You all know how much I love books. You know what I love even more? Books that are on sale. 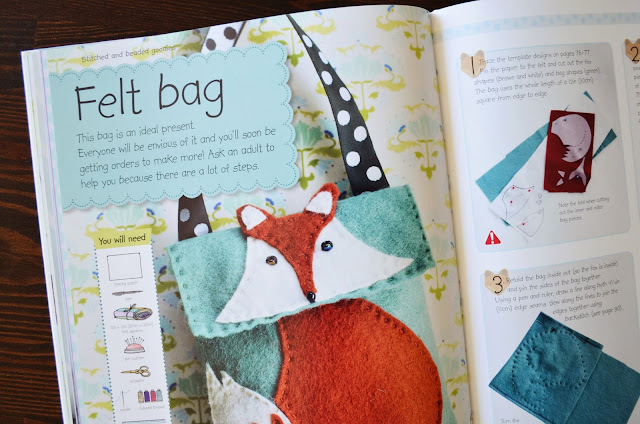 Until October 15th, DK Canada's Craft Boutique offers a selection of beautiful books for 30% off. 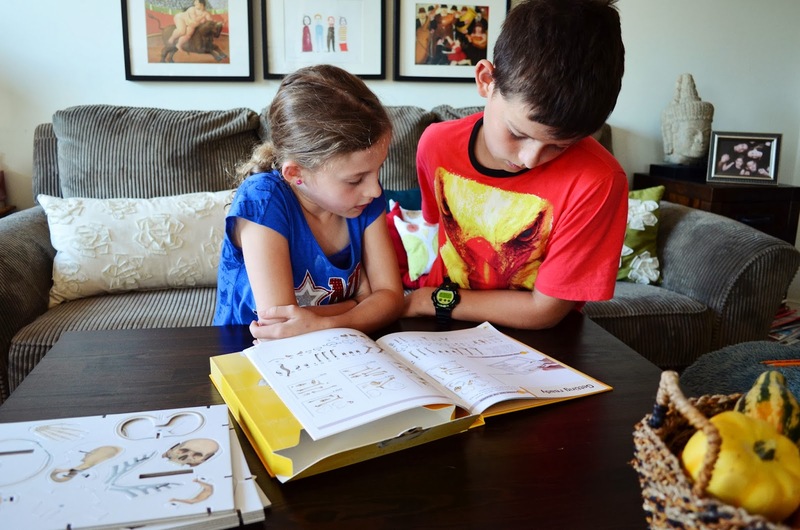 There are books to keep the whole family busy - with topics such as brewing beer, knitting, dressmaking, photography, dinosaurs and drawing techniques. 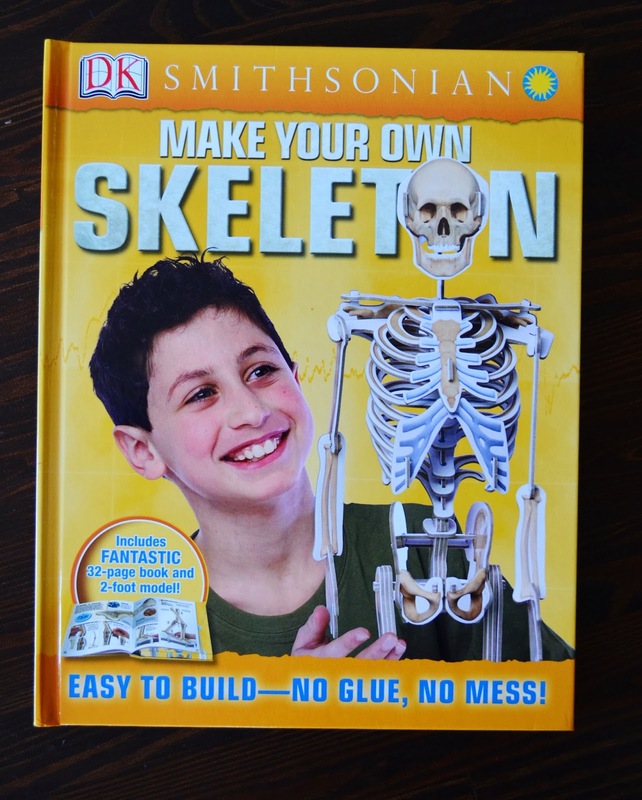 The kids and I had the opportunity to review a couple of fun books for children: Smithsonian's "Make Your Own Skeleton" and "Make Your Own Gifts." 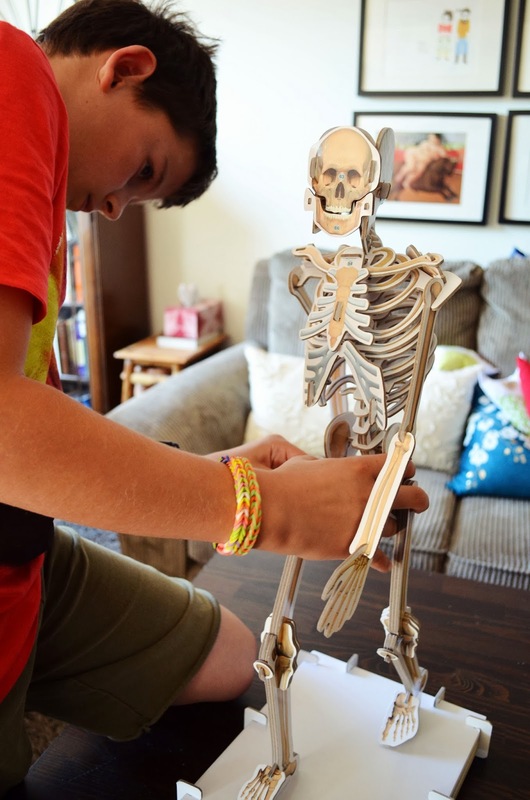 With Halloween coming up, I thought the skeleton kit would serve two purposes - occupying the kids with an engaging activity and acting as a Halloween decoration. 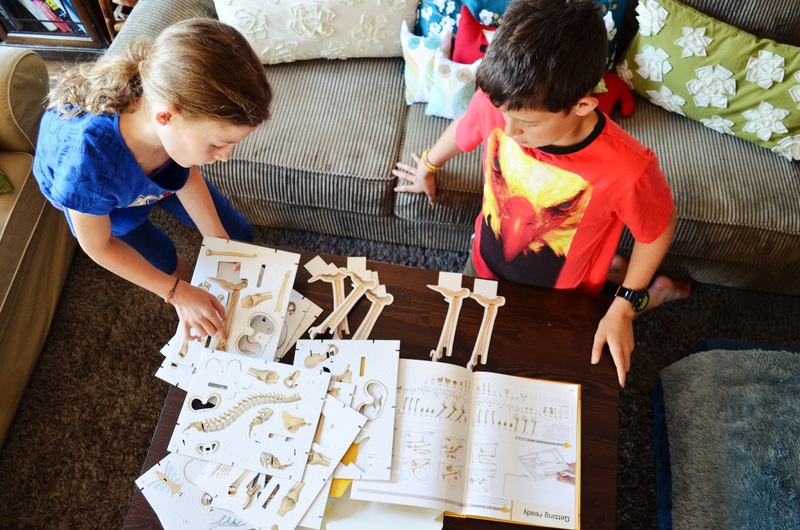 The 32-page book contains instructions for building the skeleton as well as interesting facts about the human body. For example, the book explains that the skull contains air pockets (sinuses) that keep it light in weight and also help to make your voice loud. 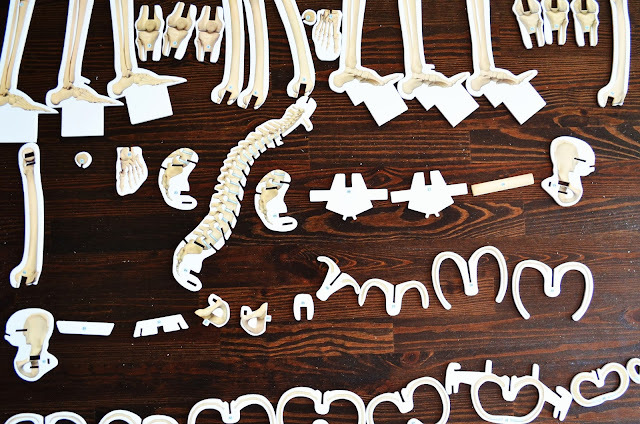 The skeleton is made up of 67 pieces. The two kids and I laid them out on the coffee table together. I confess it seemed a bit overwhelming. But the pieces actually come together quickly and easily and the instructions are very thorough. While my daughter went off to a play date, my son and I made quick progress. 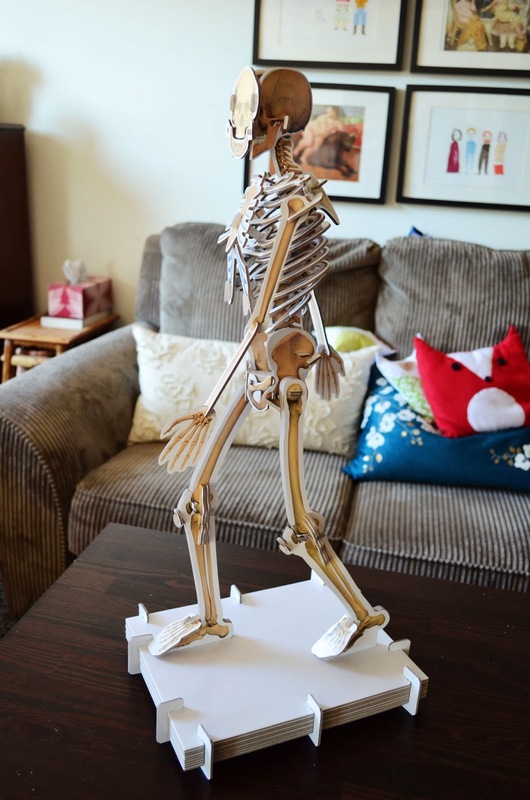 We had our 2-foot skeleton done in no time! I am liking this as a Halloween decoration! 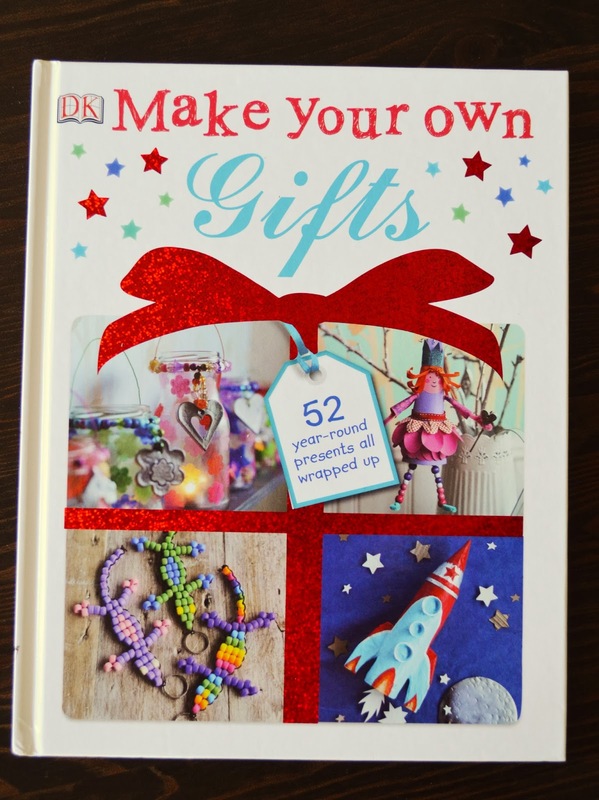 "Make Your Own Gifts" has more than 50 projects to make adorable handmade gifts. I would love to get the kids making some of these for relatives for this Christmas! Don't you love a gift that's made especially for you by a sweet little person? The book includes step-by-step instructions with detailed photographs. There are paper craft projects, stitched and beaded goodies, molded and sculpted treasures, edible treats and wrapping ideas. 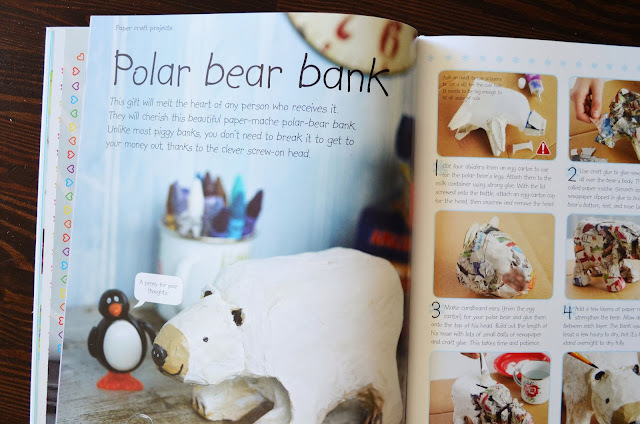 I am looking forward to making the polar bear "piggy" bank. And also this adorable fox felt bag. Too cute! 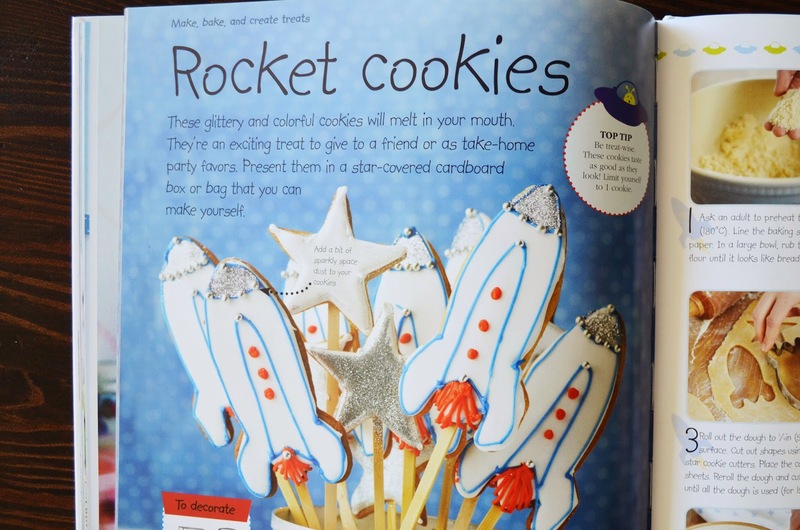 I think these rocket cookies would make lovely gifts for kids. Will you be making any homemade gifts for the holidays? *I received books for review purposes. All opinions are my own. Wow, that skeleton is so cool, and requires more patience than I have at the moment! 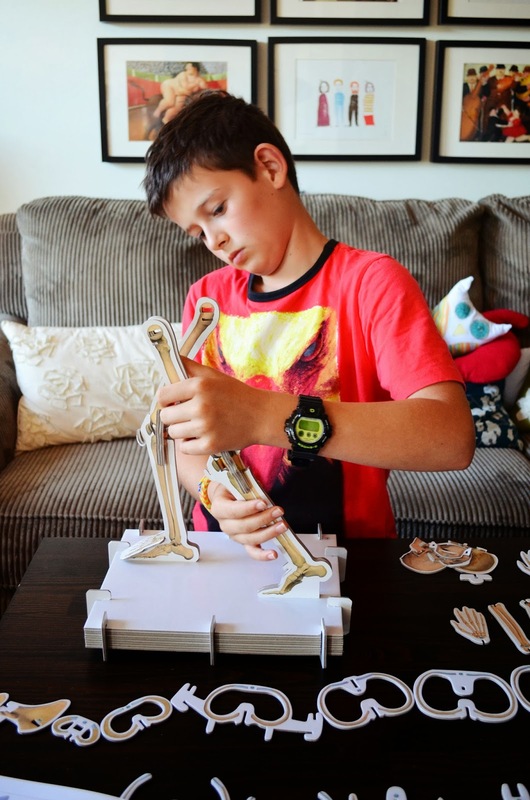 Live that the kids make time for these great projects. The skeleton is really cool! We absolutely love DK books at our house - so fun, creative and colourful. I will have to look for these ones! I love DK books! I will have to check out the skeleton book! Our boys would love it! It`s a great choice for boys, for sure! Those look like great crafts! I love the skeleton one! Where was it when I needed to make a 3d one in school? Love DK Books! That skeleton looks amazing! Thanks for sharing. Thanks Lyne! Yes, they are fabulous books. Love the skeleton book! Perfect timing for Halloween as well - learning and fun all wrapped into one! Honestly, I would prefer doing all homemade gifts for the holiday (very charming and personal) but I think my kids would freak. I gave up Science after Grade 10! Yes, no glue, no mess is good.